On December 5, the hustle and bustle of downtown Los Angeles nightlife was alive and well on the chilly winter night. On the outskirts of Koreatown stands the Legendary Park Plaza Hotel, the venue of Audrey Magazine and KoreAm Journal’s 13th annual Unforgettable awards gala. In addition to John Cho and Ming-Na Wen, Arden Cho and Ki Hong Lee both received an award for “Breakout Star of the Year.” And this night wasn’t just about awards. There were a number of live performances that kept us on the edge of our seat. Urban dance group KINJAZ kicked off the night with captivating moves followed by a performance by Tessanne Chin, whose powerful vocals left the entire audience in disbelief. Choreographer/dancer Mike Song and beatbox champion KRNFX teamed up for an equally entertaining and humorous performance followed by another duet courtesy of David Choi and Arden Cho. The audience sang along with the sweet duo before G.NA dazzled them with K-pop. Following an opening act by Howard Chen, Yoon Mi Rae hit the stage and brought the audience to their feet. This was followed by an unforgettable encore performance with Tiger JK and Bizzy. Living up to its name, this night was truly Unforgettable. All photos courtesy of White Rose Production. 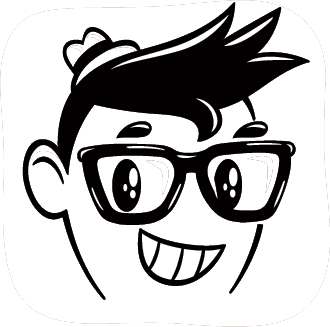 Interview with singer/songwriter and Team-Yellow supporter, Connie Lim. She talks about how she started in music, being on The Voice and her new album ‘A Better Part of Me‘. AP: Chinese authorities are cracking down on how often broadcasters can air reality, dating and talent shows such as the Chinese versions of “American Idol” and “The Voice,” which draw huge audiences. The official Xinhua News Agency reported that the “American Idol” kind of talent shows now need approval from the body that oversees broadcasting, which will license one such program per channel each quarter for prime-time viewing. 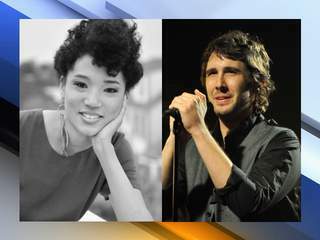 Vocalist Judith Hill (who you may remember from Michael Jackson‘s “This Is It“ or as a contestant on Season Four of NBC’s “The Voice“) has been tapped by multi-platinum-selling singer Josh Groban as support for his fall “In the Round” tour, which kicked off Oct. 2. Dates include this Sunday, Oct. 13, at the MGM Grand in Las Vegas. Hill, who contributed backing vocals to three tracks on Groban’s latest album, “All That Echoes,” will also be playing a series of headline dates this fall. Praised by Rolling Stone for her “stellar powerhouse vocals,” Hill recently signed with Sony Music. She is finishing up her debut record, which will be released in early 2014. In addition to writing and performing her own material, Hill – who wrote her first song at the age of four – has backed such artists as the late Michael Jackson, Stevie Wonder, and Elton John. She was also featured in Morgan Neville’s acclaimed documentary “20 Feet From Stardom,” a film that shines the spotlight on the untold true stories of the backup singers behind some of the greatest musical legends of the 21st century.